The 2018 Toyota Yaris iA offers a spacious interior, large number of safety features and a classy interior. It’s powered by a 1.5 liter four-cylinder engine with an output of 106 hp and comes standard with a six-speed manual transmission. Buyers have the option of opting for a six-speed automatic transmission. The cabin features soft-touch materials and seats five passengers. 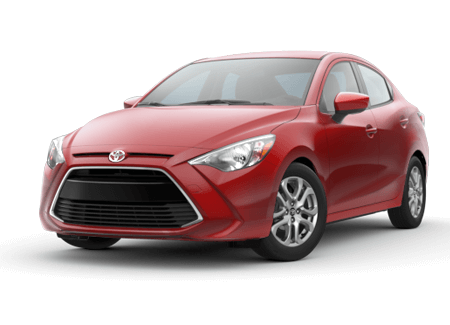 The 2018 Toyota Yaris iA comes standard with bluetooth features, two USB ports, a 7″ touch screen LCD and a stereo system with six speakers. Cargo space stands at 13.5 cubic feet and is expandable with the rear seats folded. Available safety features include air bags, ESC, traction control and integrated turn signal mirrors. Stop by our dealership and test drive the 2018 Toyota Yaris iA in Rancho Santa Margarita, CA today.